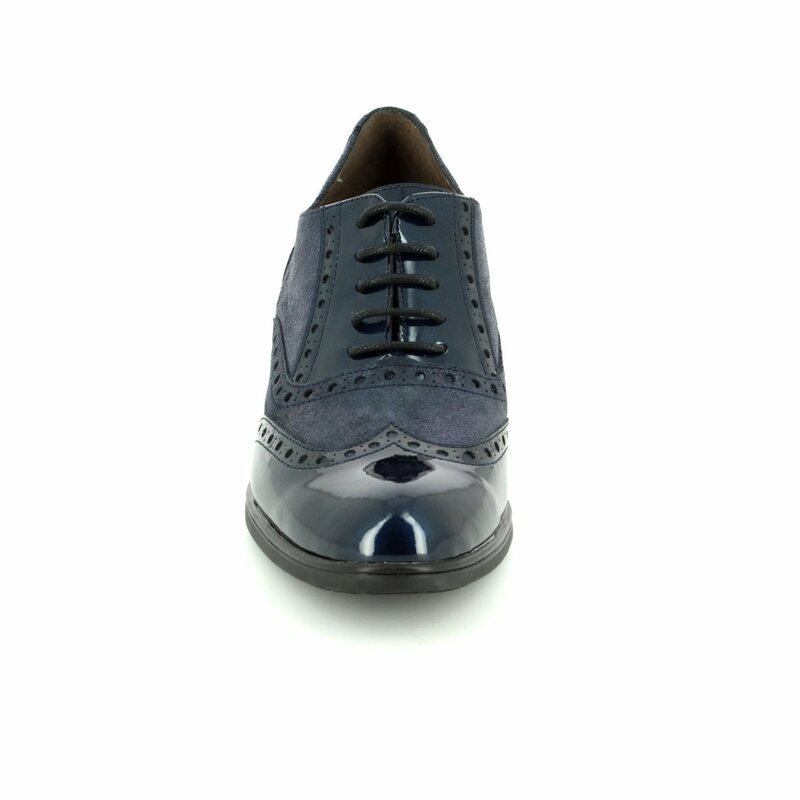 Wonders bring us G4010/27 ANDREABRO. 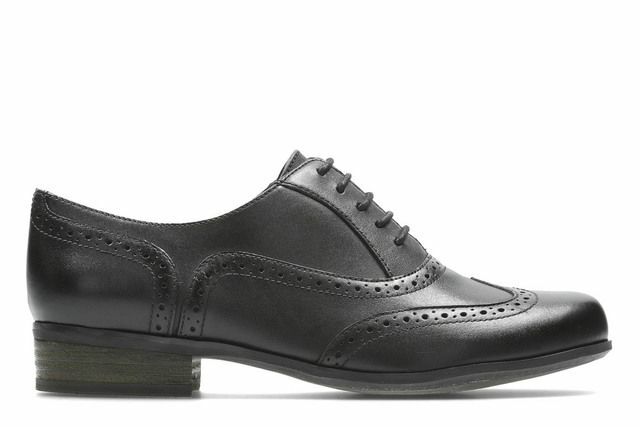 Patent…brogue…heels… need I say more? 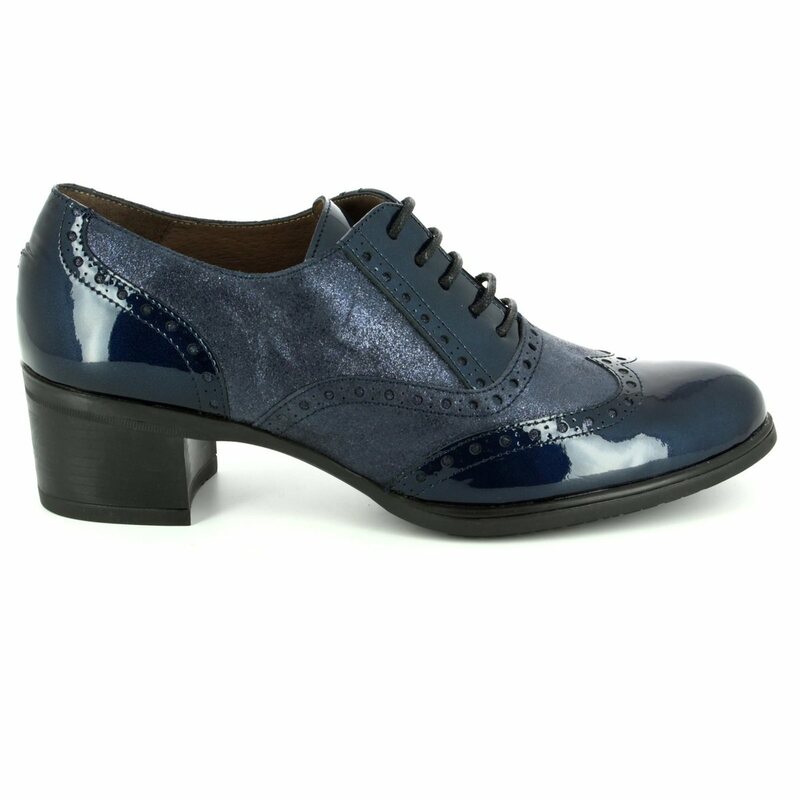 These stunning ladies brogues from Wonders are sublime and the perfect addition to your wardrobe. Dress them up with a skirt for work or pair them with jeans for a shopping trip, these shoes will do it all. 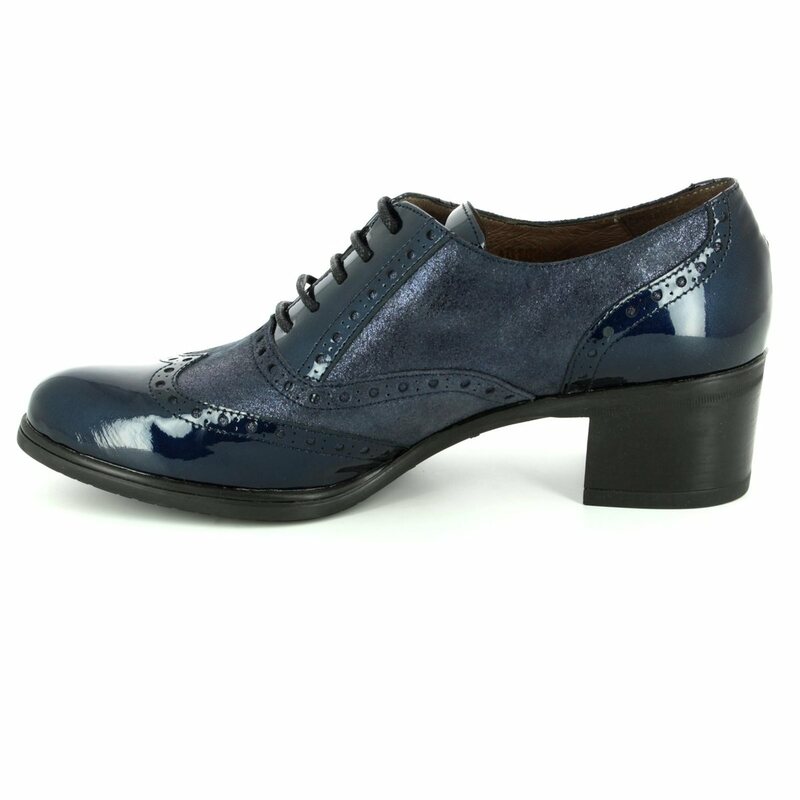 Wonders have used a soft navy suede upper with brogued patent paneling. 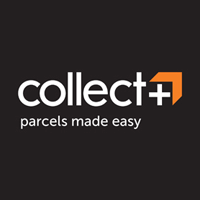 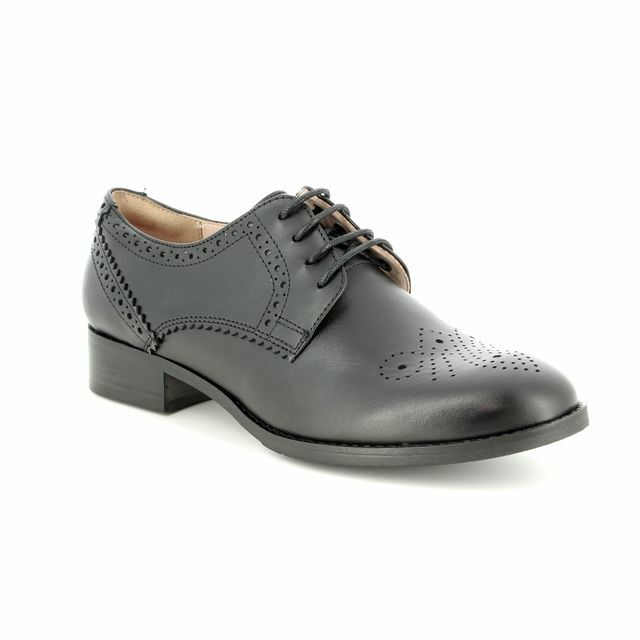 The addition of lace fastenings ensures these shoes are easy to use while being secure to the feet. 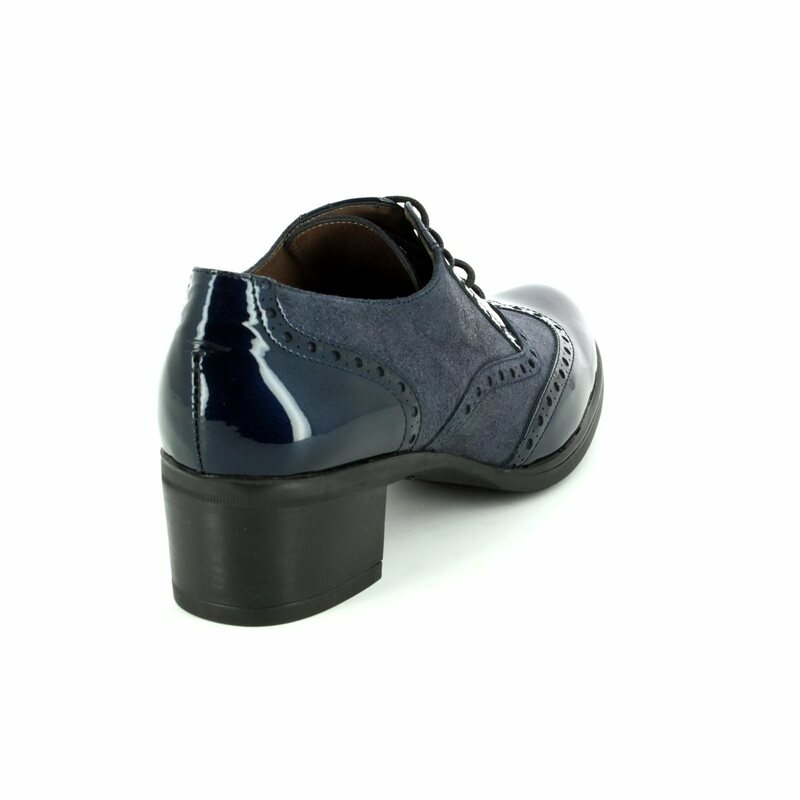 A low block heel offers elevation while remaining comfortable to wear all day, especially when paired with the soft leather linings. 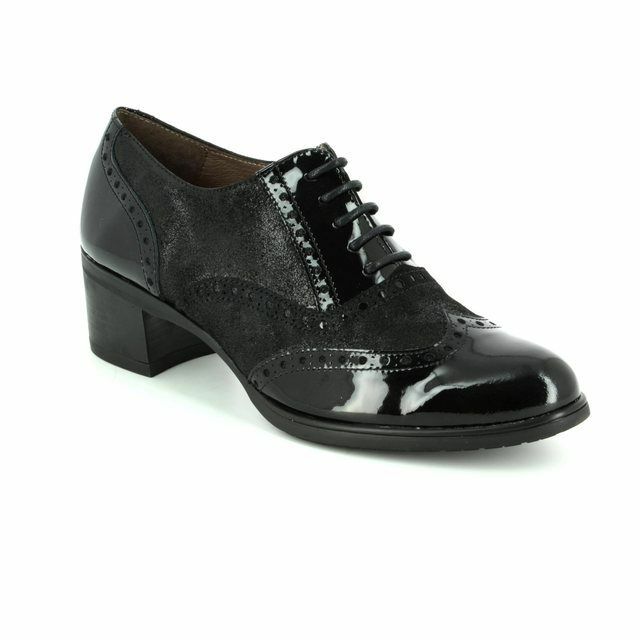 Also available in black, these brogues ladies shoes are a real must-have. 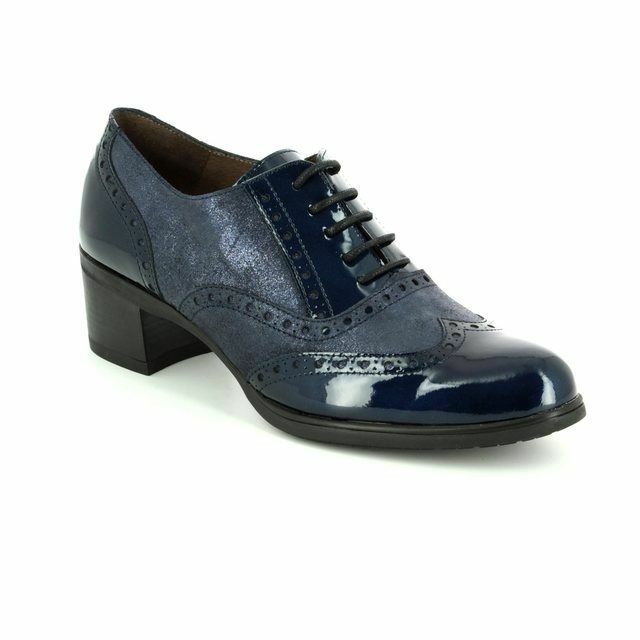 Buy your Wonders ladies heeled brogues from Begg Shoes and Bags, an official Wonders stockist.